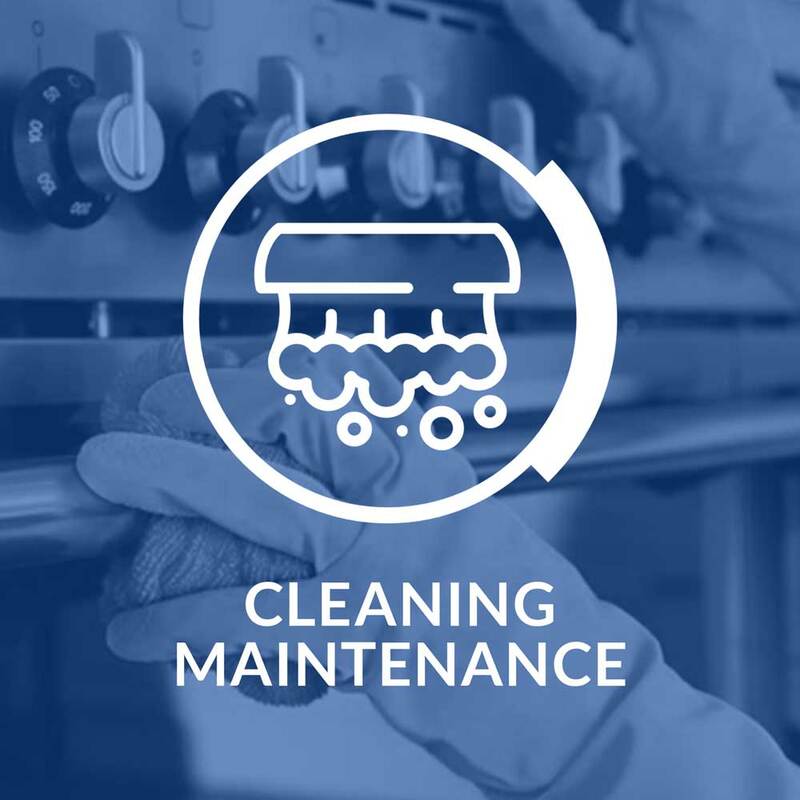 In an effort to improve the health and efficiency of our past projects, we have developed customizable maintenance programs that aim to decrease ownership cost of kitchen and laundry equipment. Total lower cost of ownership. Lower operation and energy costs. Less down time, especially during peak operation periods. Essential maintenance done during off hours. Less chance of food spoilage. Assess working conditions and health status of selected kitchen equipment. Conduct tests using measuring tools to determine if equipment is functioning at desired parameters. Check the state of all parts and create recommendations for replacements. Assess external connections including gas hoses, electrical connections, drain lines, and water lines. Analyze equipment for proper operation and overall condition. Inspect for proper temperature. Identify symptoms that might affect the overall performance of the equipment. Advise customer of all immediate repairs needed. Identifying root cause of the failure. Installation of original spare parts.